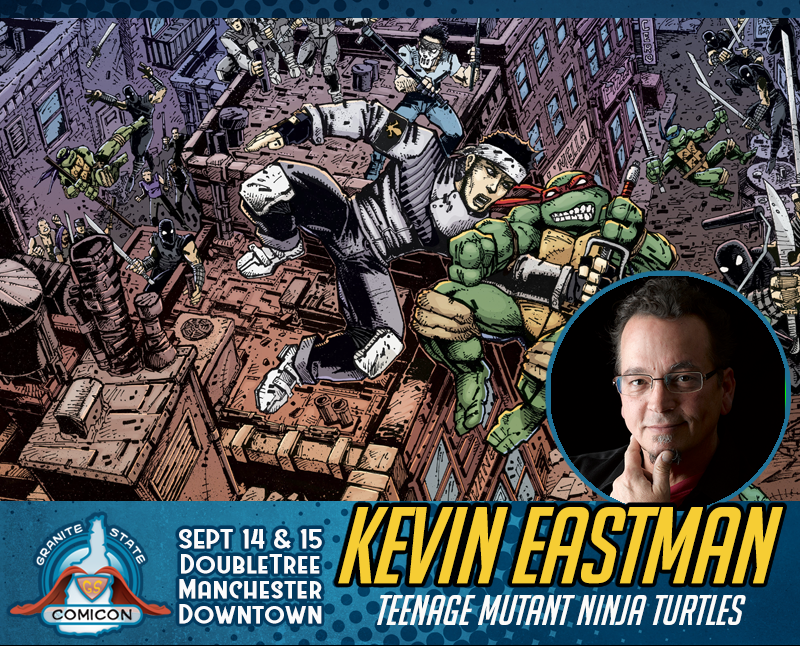 Thanks to “THE BEST FANS ON THE ENTIRE PLANET!” according to Eastman, after 34 amazing years the Teenage Mutant Ninja Turtles STILL continue to find their way into the hearts and imaginations of kids, large and small. When not having way to much fun drawing the TMNT’s, he also launched three new series in 2015/16; Fistful of Blood, Lost Angeles, and Underwhere. In 2017 Kevin launched his first ever Kickstarter that was fully funded for his new project Drawing Blood.